Currently have a Fobus paddle holster and the dam gun barely comes out. Almost have to give myself a wedgie even when straight up pulled. I'll be That Guy and say just use the holster you use for CCW at the range. Getting ready to take a couple classes and want something OWB with easy access. My CCW is a horsehide white hat, but that's not what I'd like for class. Does it not have a tension adjustment screw? Getting ready to take a couple classes and want something OWB with easy access.My CCW is a horsehide white hat, but that's not what I'd like for class. Why not train with what you will actually use?? I do train with my CCW, but that's not what I'm asking about. Safariland 7TS is my favorite. If you don't want a locking holster then go for BladeTech or CompTac. How about the little, cheap holster that Glock sells? Check ebay for a used safariland paddle or belt holster. The thumb retention ones are pretty common for under $40. I've never tried to put a g26 in my 19 holster, so I don't know what sort of compatibility there is. The hooded ones would work well too. Blast it with a heat gun. 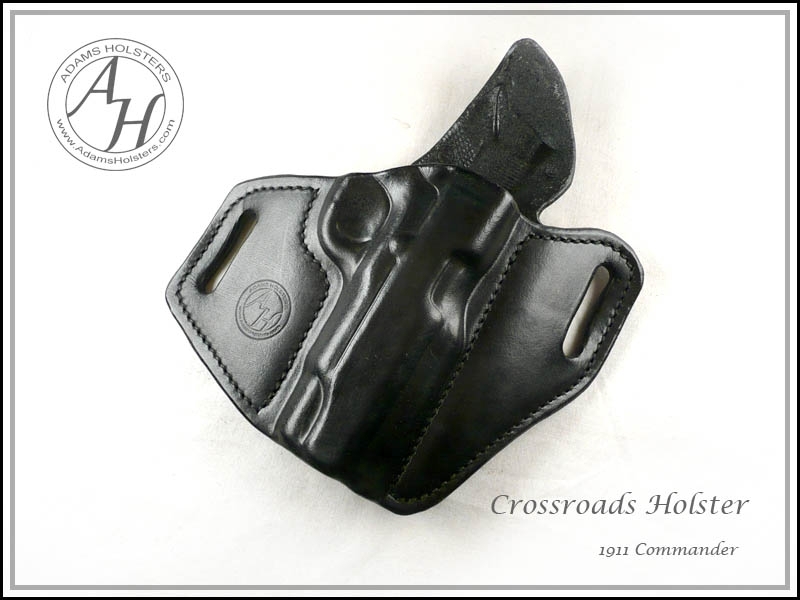 Why not just get a good OWB holster, that can be used for CCW and the range? Raven Concealment or Bravo Concealment would be good choices. Saddle holster from Andrews Custom Leather. Currently have a Fobus paddle holster and the dam gun barely comes out.Almost have to give myself a wedgie even when straight up pulled. More dry fire draw drills. With a little bit of wear it will get smoother and you can then adjust the tension screw back in. Those are not bad holsters. Also, get a better belt, at least 1.5" high and 1/8" thick leather. While I'm partial to full custom, Milt Sparks and DeSantis leather holsters for AIWB or OWB, for range use a plastic OWB, offset or not, is just fine. I wouldn't get one with trigger finger retention though. Those are a poor choice for range use and even poorer for CCW. If you need a duty or military type holster, you need to find out what your org uses or look at your personal retention needs more specifically. If your main use for a gun is CCW, then the range holster should also work by just digging the gun out of it without further hassle. This, retention is excellent and it's a great holster for wearing while out doing yard work/things where you don't quite want the gun, so damn tight against you. Excellent value for little money.